At IMET, we hope to prepare graduate students for a wide range of careers, including in academia, industry, entrepreneurship, and government. Working and studying at a university, students are exposed to the world of academia. The REEF program has helped students to envision and explore a career in entrepreneurship. 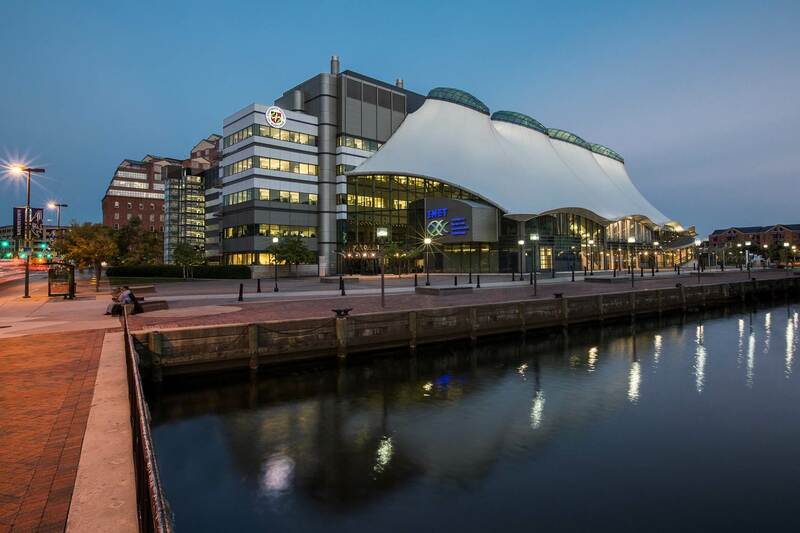 In this piece, alumna Olivia Spicer speaks about her experience starting a job in government, at the National Institutes of Health. 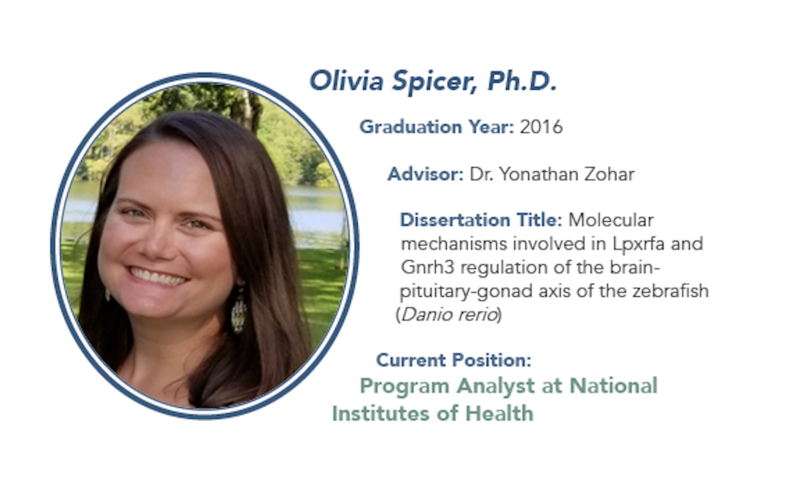 Dr. Olivia Spicer graduated from IMET in December 2016, after earning her Ph.D. in the lab of Dr. Yonathan Zohar. In the months leading up to her graduation, Spicer applied to the Presidential Management Fellowship, which places individuals with advanced degrees in federal agencies for two years. After being accepted to the fellowship, she began working as a program analyst at the National Institutes of Health (NIH). The thing Spicer likes most about her work is how directly it is tied to people. At NIH, she oversees the day-to-day operations of the Neuro-Biobank, which manages the distribution of post-mortem human tissue for neuroscience research. This program is integral for advancing our understanding of neurological, developmental, and psychological disorders. Some of the other differences Spicer encountered as she moved from academia to a government position were more prescribed policies and procedures and a more regular schedule, which she says definitely has its benefits. Despite these differences, Spicer’s education at IMET does help her in her work. “Working in Dr. Zohar’s lab taught me how to be independent and think on my feet, to not just think about what you’re doing, but also about how it applies down the road,” she said. She added that many of the skills necessary to complete a Ph.D., such as organization and time management, are easily transferable to working in government. Another benefit of working in Dr. Zohar’s lab was being able to interact with people outside academia. Since research in the Zohar lab is applicable to the aquaculture industry, Spicer had the opportunity to meet with visitors from the private sector. She hopes that other students have the opportunity to meet with people who have chosen a variety of paths after completing advanced degrees.